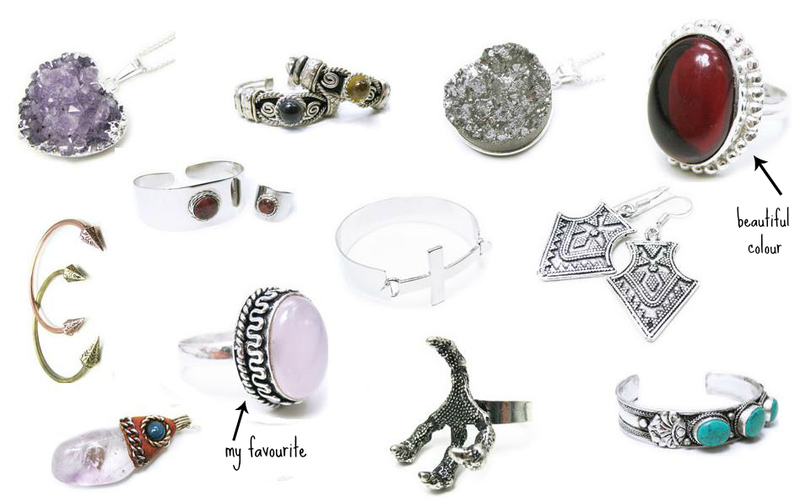 i love dixi jewellery, it’s definitely very ‘me’, for want of a less cliche phrase. so, when they decided to send me some things along with their new season preview, i could hardly say no. the beautiful packaging contained these six little rings and i personally think they’re even more stunning in person than they are online. i love the subtle glittery effect of the natural stones and the sturdy quality of them is fantastic for the price. i think what i love the most though, is that nearly every single item they stock is a one off. not like your standard topshop item that you see on everyone, you’ll get a unique piece that makes an amazing statement. my two favourites have to be the ones above. i put a similar picture up on instagram and it seems that most of you lot think the same too! even the woman in liz earle complimented them and there’s nothing better than compliments off random people now, is there. bloomin’ lovely, isn’t it? if my bank balance would allow it, i’d buy it all! i especially love that lilac ring (i’m obsessed) and that red ring, as i know they’d look perfect next to my other ones. they also do new and vintage clothing, too! i think any of these would fit perfectly into any wardrobe and go so well with their jewellery too! is there anything you’ve got your eye on? make sure you’ve entered my giveaway to win UD naked basics palette, real techniques brushes and essie polishes! oh and look at my blog sale too, it all has to be gone by this sunday!